Guangdong faces the South China Sea to the south and has a total of 4,300 km of coastline. Guangdong hosts the largest Import and Export Fair in China called the Canton Fair which is hosted by the city of Guangzhou - Guangdong's capital city. Guangdong boasts of highly developed economy, rich cultural relics and famous food. As the south gateway to China, it has always been open-minded to both central China and the outside world. The province covers an area of about 178 000 sq km and has a population of 86.42 million. 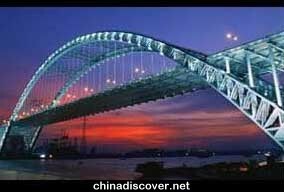 Located in the southern part of China, Guangdong is one of China's most prosperous provinces dues to its excellet location. Major cities are Guangzhou, Shenzhen, Zhuhai, Shantou, Foshan, Dongguan, Huizhou, Jiangmen, Zhanjiang, Zhongshan, Zhaoqing, Qingyuan and Shaoguan, with Guangzhou the capital of the Province. Guangdong with a long history. 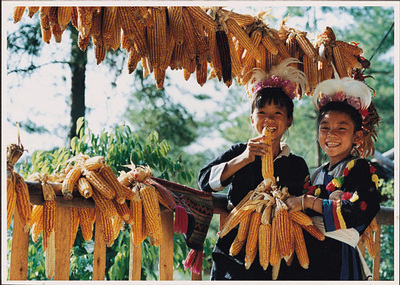 Originally, it was home for Qujiang Maba people 130,000 years ago. And also, it is the hometown for a great many of famous historic figures, including Hong Xiuquan, Liang Qichao, Kang Youwei, Sun Yat-sen and so on. By the records that many historic events were took place in Guangdong. For example, Opium war, the 1911 Revolution, the Taiping Rebellion, the 1898 Reform Movement, the Northern Expedition, and the Guangzhou Uprising. 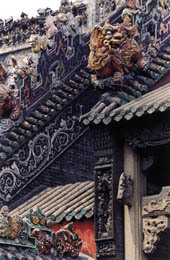 The wonderful Guandong opera, striking paintings, touching music and unique architectures make the province formed a peculiar Guangdong culture. In which, Guangdong opera is divided into three local opera, including Cantonese opera,Chao opera and Han opera. The local customs are of strong Lingnan features, such as Foshan Qiuse, Hakka customs in Northern and Eastern Guangdong respectively, Chouzhou congou, Yao customs and fishermen's traditional practice, southern lion dance and soutern folk songs, etc. There are a dozen major festivals in Guangdong province, such as Guangzhou Carnival (held in Dongfang Amusement Park in late autumn or in early winter ), Guangzhou Flower Fair ( held in the last three days of the year just before the Spring Festival ), Guangzhou Food Festival ( held during the Autumn Fair ), Guangdong Dragon Boat Festival ( held on May 5th on the Chinese lunar calendar ), Lichi Festival in Shenzhen ( held in June or July), Shaoguan Drifting Tour Festival ( only in summer time), etc. There are dezens of Festivals held each year in the different parts of this province, which attract millions of visitors from both home and abroad. Guangdong boasts of a lot of tourist attractoins, such as four famous mountains, four famous ancient temples, four well-known traditional gardens, hundreds of cultural relics and historic sites, newly merged modern scenic spots. The top tourist attractions include Baiyun Mountain, Chen's Ancestral Temple, Pearl River Night Cruise, Guangzhou Yuexiu Park, Window of the World, Splendid China, China Folk Culture Village, Huang Feihong Kungfu Museum, Zumiao Temple, etc. Baiyun Mountain is a park with natural hills and waters, and an ideal sightseeing place and summer resort. 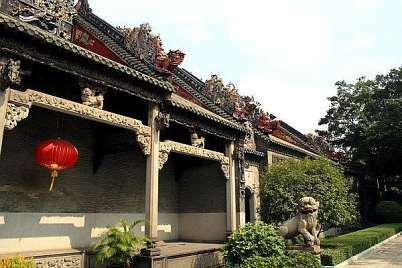 The Museum followed the architectural style of the late Qing Dynasty.Huang Feihong Shiyi Wushu Museum was built in 1996,which mainly to carry forward Huang Feihong’s Wushu and his medical ethics. 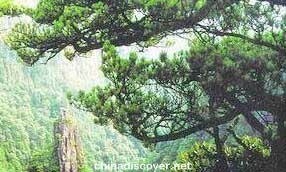 It is also called Guanyin Hill, as Guanyin, Goddess of Mercy, was found during the Yongle years in the Ming Dynasty. Especially recommended as it has long been looked upon as the ultimate in Cantonese construction of the past. If you don't have time to visit the Eiffel Tower in Paris , the Taj Mahal in Dehli or the Pyramids, then you can see them all (in mini) here in an afternoon! This is a fun place which recreates the life of 24 ethnic minority villages from throughout China in downtown Shenzhen.